CW welcomed our evening students during yesterday’s Adult College Spring I New Student Orientation. During the event students were greeted by our Provost & Vice President of Academic Affairs, Dr. Warren Rosenberg, “we’re honored that you’ve chosen The College of Westchester as the place to begin or to re-start your college career. 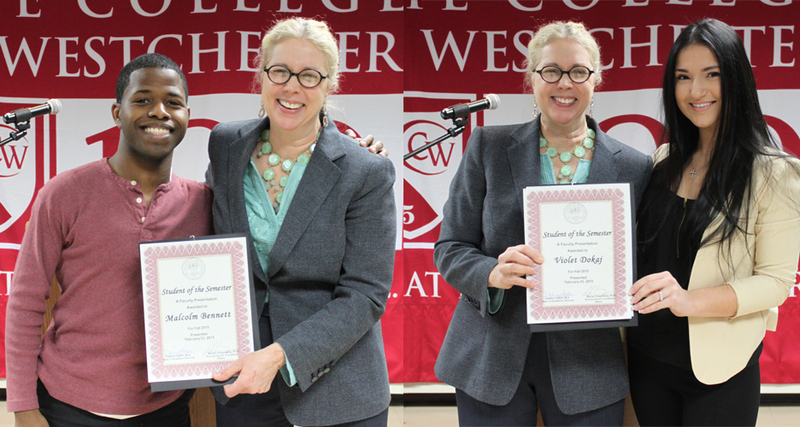 Congratulations to Students of Semester Malcolm Bennett & Violet Dokaj!